Some of us can make increadable music with the simplest of instruments, then there are the rest of us who just toy with instruments for fun. In our group, there are some very talented musicians. They are in bands that play at a variety of times, either weekly or every few weekends. Getting ready for a presentation, we needed a bit of background ‘music’ to build the mood. It needed to hum along then build at the presentation time. Normally this is a weekend take away for someone. 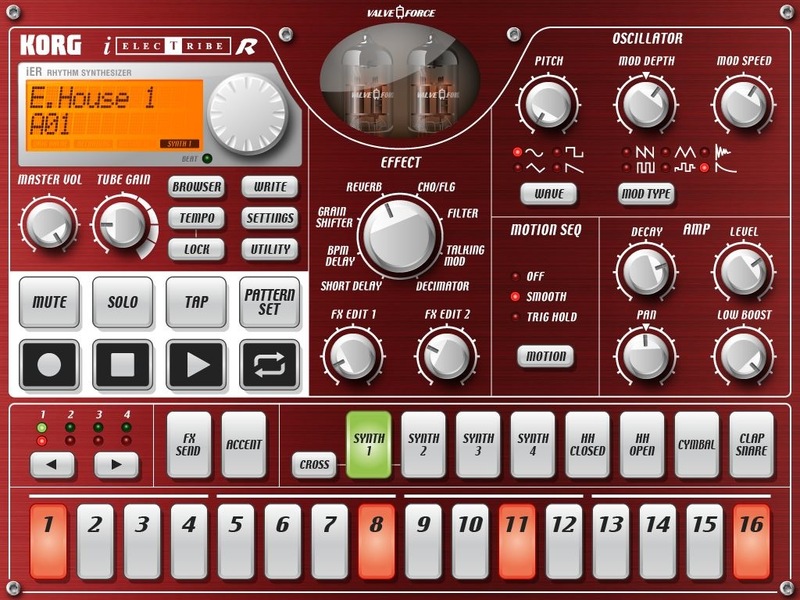 This time one of those more talented folks picked up KORG iELECTRIBE for their iPad. For the majority of us, this app is great fun as we fine tune a bit here and there till we come up with the sound we are looking for, ending up something that we may use some day. But, mostly, was just something we show off to our coworkers. For the talented bunch, they twist a few knobs, poke button, flip a switch and increadable rythmes are generated right of the iPad. These can be saved to the desktop to use via the iTunes built in connect option (during normal iPad/desktop syncing). It’s on sale for the month of June for under $10, then it’s doubling it price going forward. Headphones might be a good idea for the younger students to not drive mom and dad crazy. With this one app and a iPad, parents can save thousands… and many new beats could be created.